Christmas markets, or Weihnachtsmarkts, have a long tradition in German-speaking countries, with Dresden Christmas market, which is one of the most famous, being first mentioned in 1434. Nowadays, these street market are a very common sight during the month of December. Having heard good things about Flensburg Christmas market we decided to make a Saturday afternoon of it. As I was hoping for (and expecting), the market was a very pretty sight indeed or, as the Danes would say, hyggeligt. 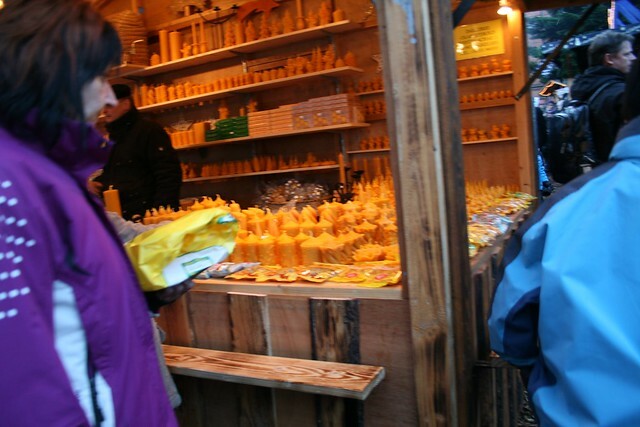 It is mainly located on the main walking street, with stalls going all the way from Sudermarkt to Nordermarkt. The walking street, particularly the area around Sudermarkt was packed! The people were out in full-force enjoying the cozy atmosphere of the Christmas stalls. In particular, they seemed to be enjoying their drinks. 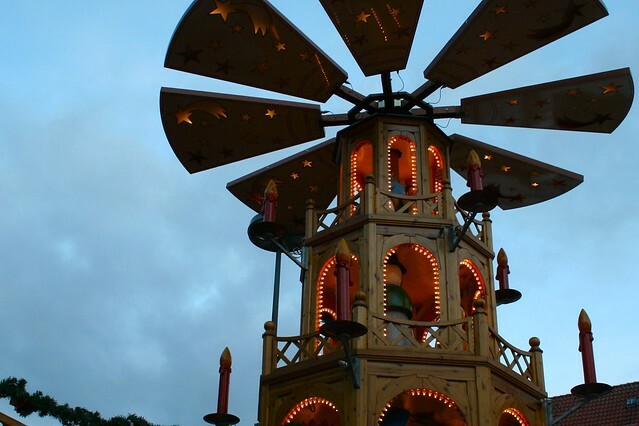 They stood huddling together at the stalls drinking their gluhwein and their punsch, which is a Flensburg version of gluhwein to which rum is also added. The market can easily be managed in half a day. A good suggestion would be to go in the afternoon to see all the pretty Christmas lights when it gets dark. Besides the main walking street a visit to Rote Strasse should also be on your to-do list, particularly going down one of the alleys and stopping for some drinks to warm you up in the prettily decorated stalls invariably located down each one. 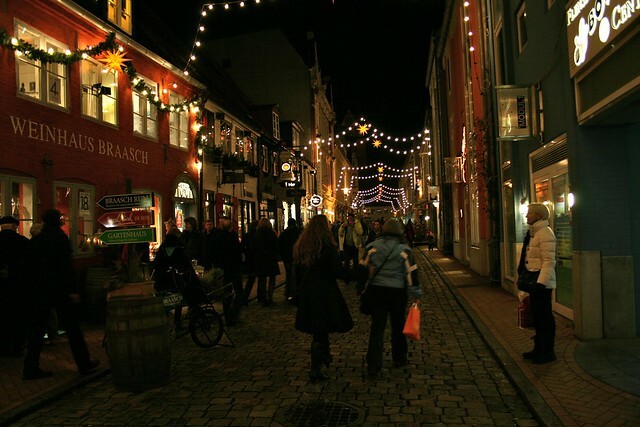 However, there is more to Flensburg than just the Christmas market! With Flensburg being within easy reach of Sonderborg (45mins by car; 1hr15 by bus) we will definitely be visiting again in the coming months. I have already spied a board game shop I definitely need to explore on our next trip! This entry was posted in Things To Do and Sights, Trips Out of Town and tagged Christmas market, flensburg, Nordermarkt, punsch, Rote Strasse, stalls, Sudermarkt, Weihnachtsmarkts by Ann. Bookmark the permalink. It really is a great city!!! We have explored it many times but I am certain that there is still more to see! When you’re down there you should make a detour to Sonderborg ;). Or we could meet there! 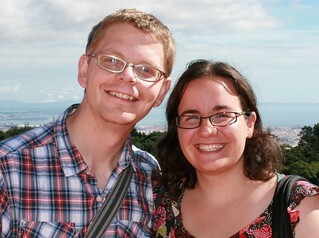 There will definitely be more Flensburg trips for us.